The event is free, but do bring something delicious to share! For the potluck, dinner artist-in-resident Will Owen will be preparing recipes he was given by hotel tenants and hotel workers during a brief art residency at the ACE hotel in October 2014. Collecting these recipes is part of a larger project he has been working on for the past 4 years, gathering recipes that others have memorized. Eventually these recipes will be presented as a free cookbook distributed throughout the US on Greyhound buses and Amtrak Train lines, further passing along the hospitality that was originally shown to him. Matthias Borello, resident curator at Flux Factory, will present the work of the Danish artist Kenneth Balfelt. In his practice social matters and structures are challenged by the inclusion of communities that commonly perceived as less than resourceful. Balfelt presents them as the producers and experts within the context of the projects. Julia Carillo will show recent work and talk a little about her process. The work is developed from the relationship between geometry, physics, space and transformations between them. In the ecological reservoir of Cuatro Ciénegas, a rare desert surrounded by endangered water ponds in Northern Mexico, Juan collects waste for survival and spends his days working in solitude in search of a better life for himself and his animals. In his community Juan de la Garza has been dismissively nicknamed Juan Perros. 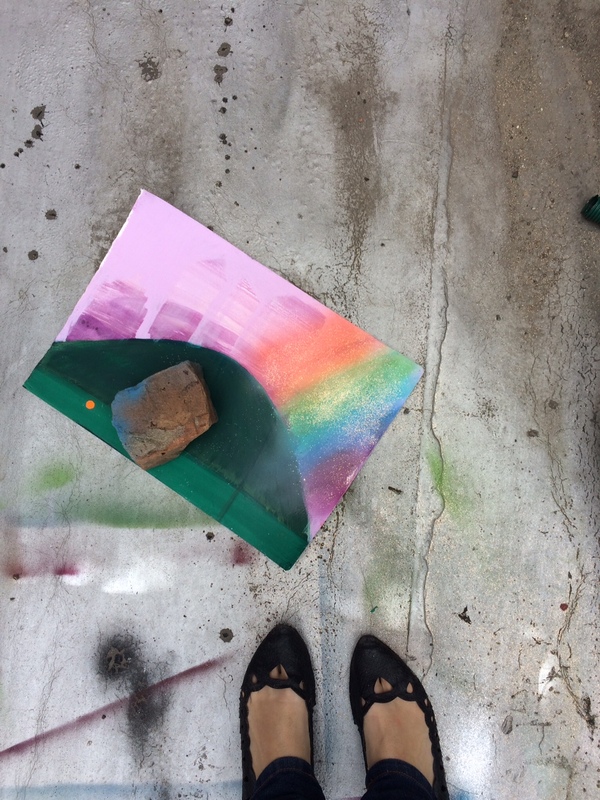 Ayden LeRoux will share her recent explorations in making domestic labor visible, including a recent project made during a residency at the ACE Hotel. Alisha Monypenny will share images that draw upon ecstatic aloneness and will explain how her studio practice relates to her training and experiences as a therapeutic arts facilitator.